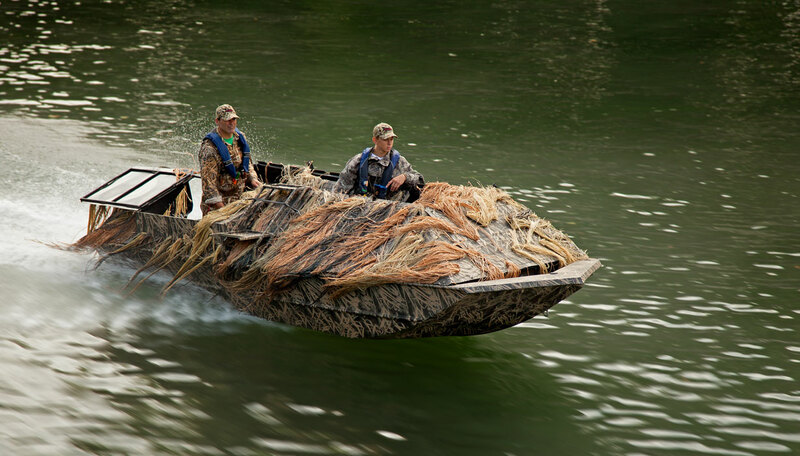 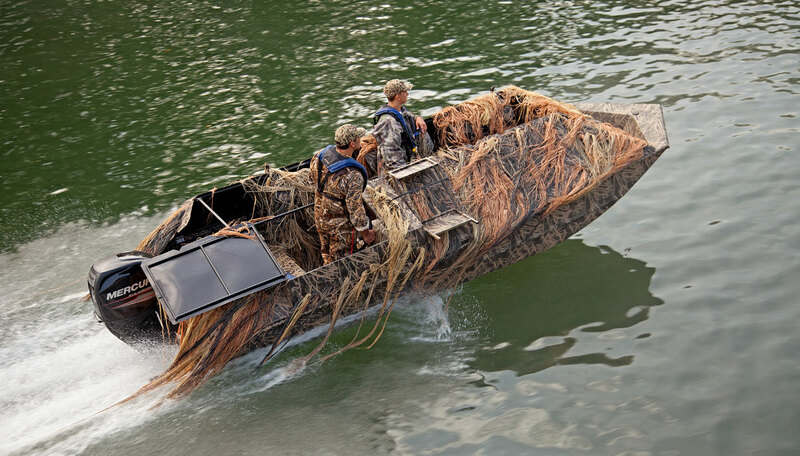 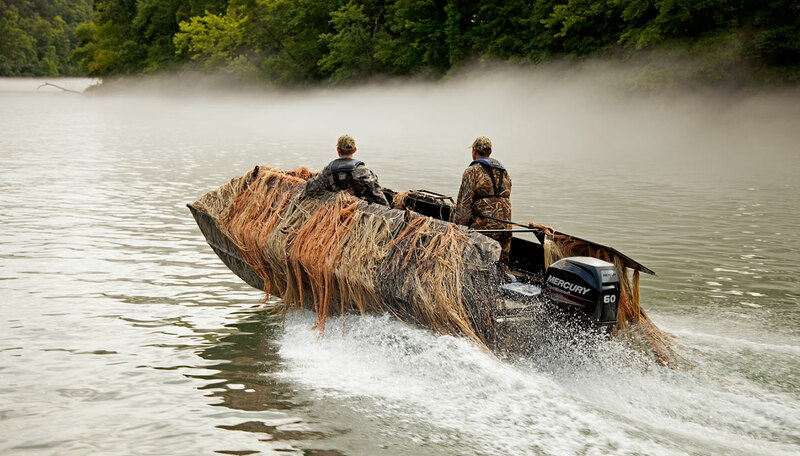 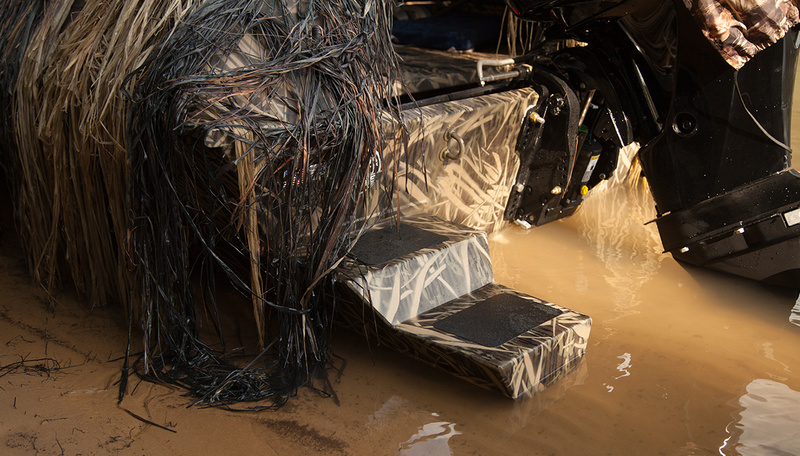 Introducing the all-new Roughneck 1860 Waterfowl, an innovative new fishing boat designed by Lowe with duck hunters in mind. 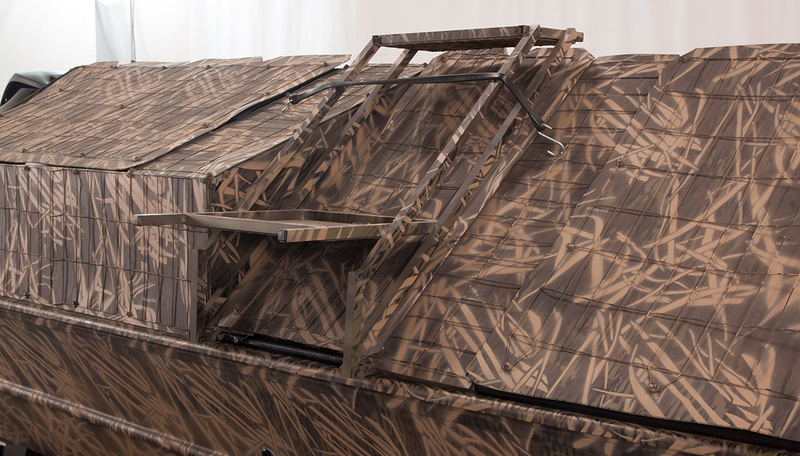 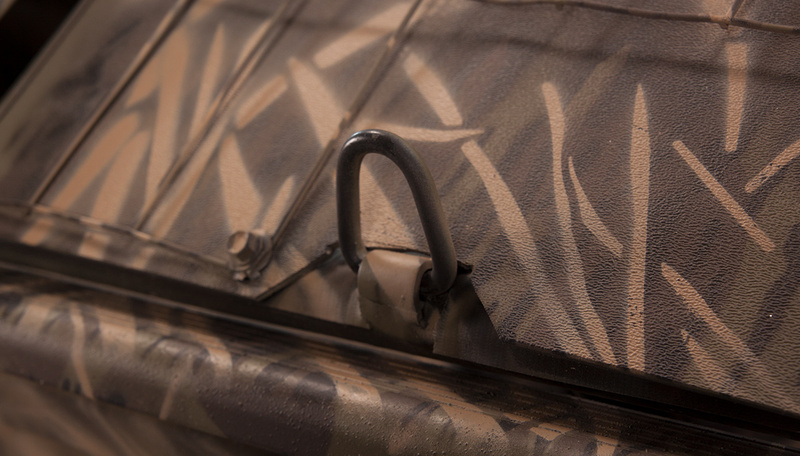 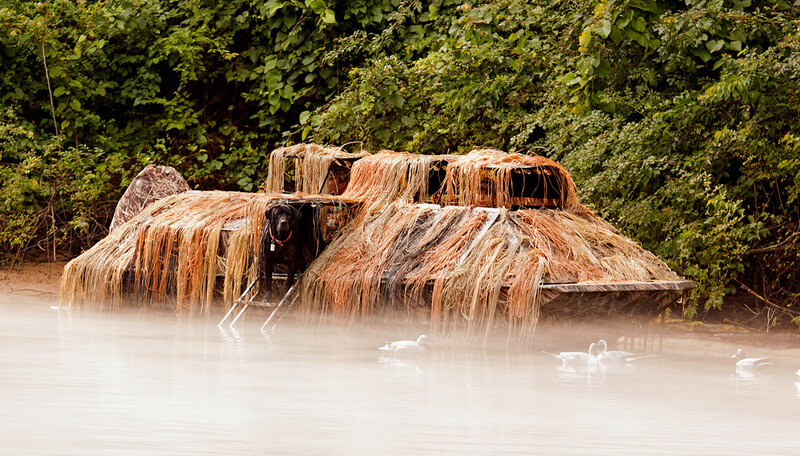 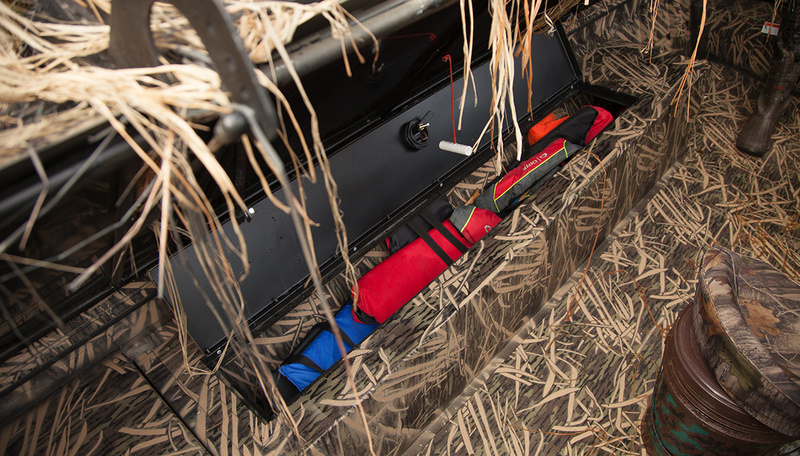 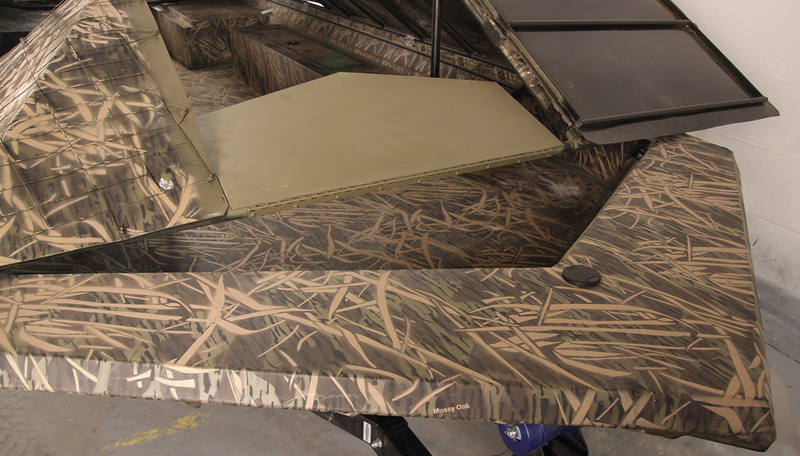 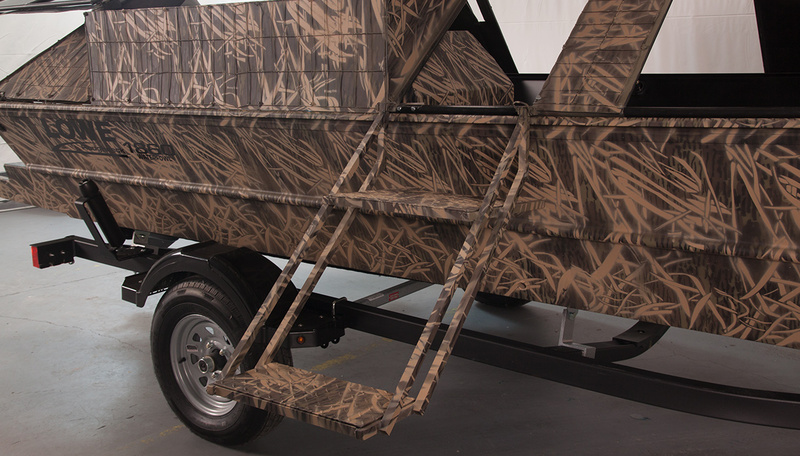 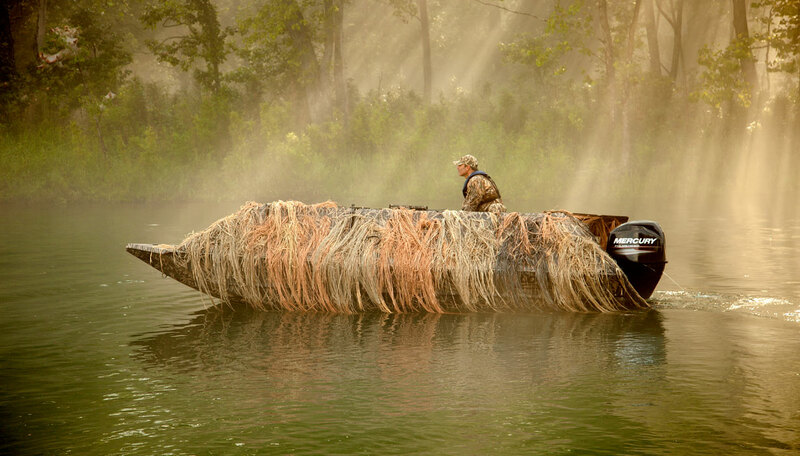 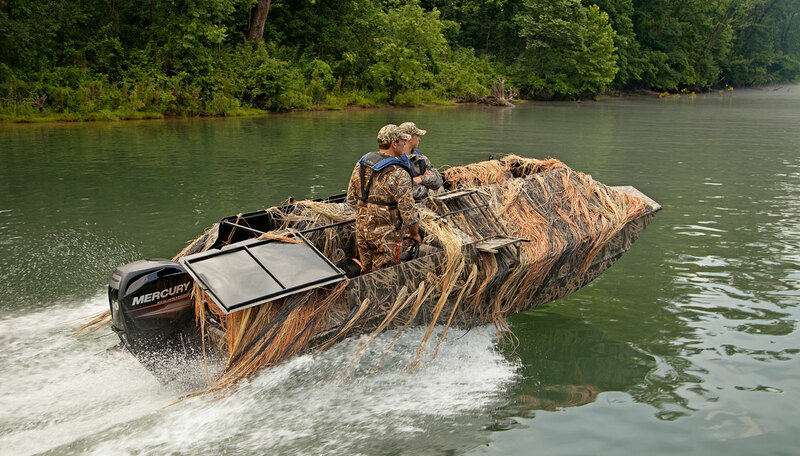 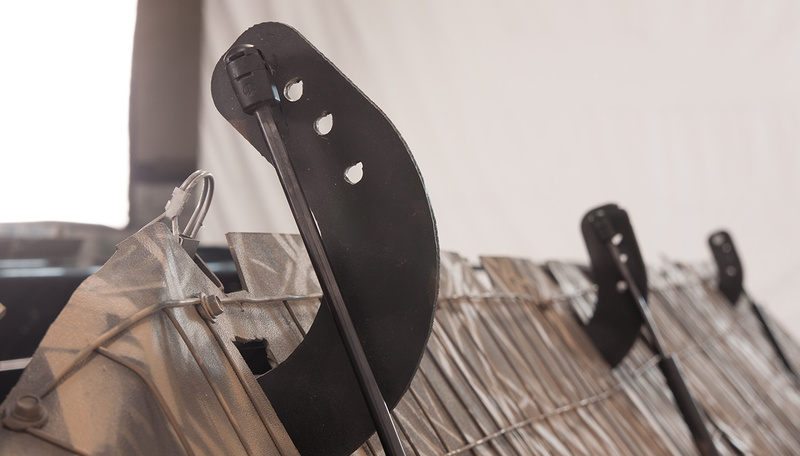 The 1860 Waterfowl features a BUST’EM Blind, the most functional hard-shell boat blind available today. 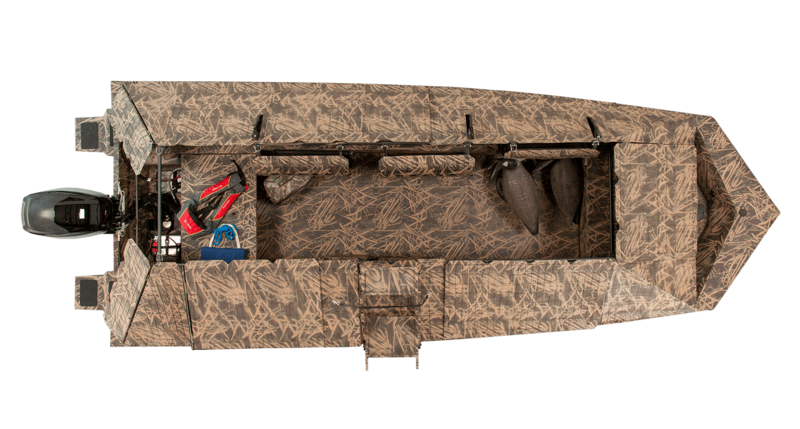 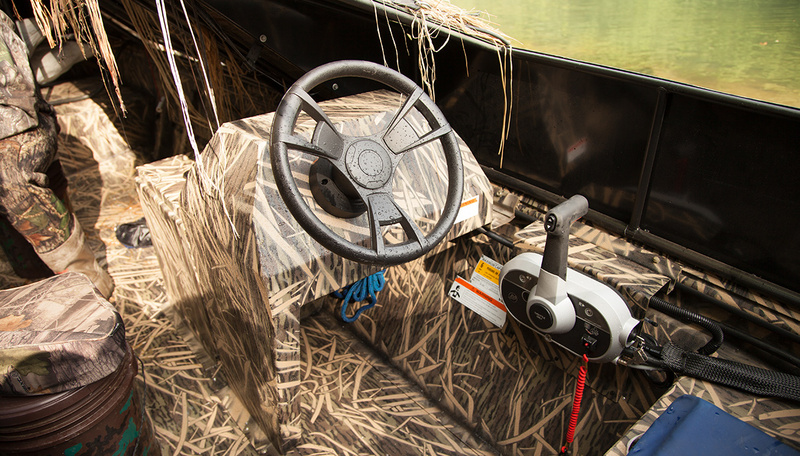 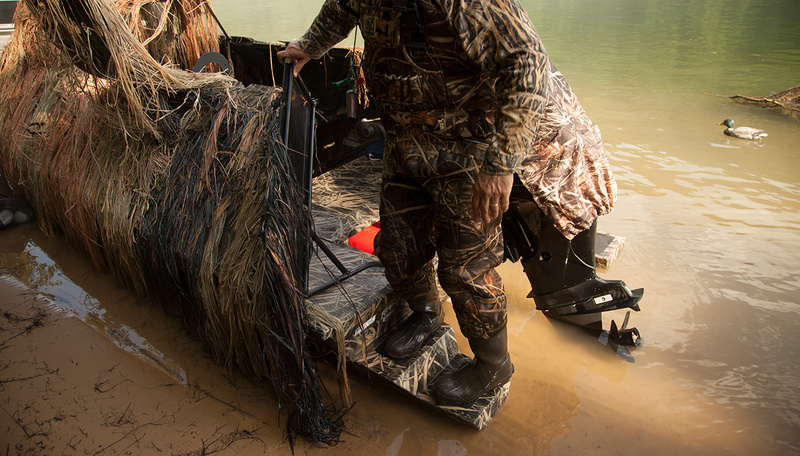 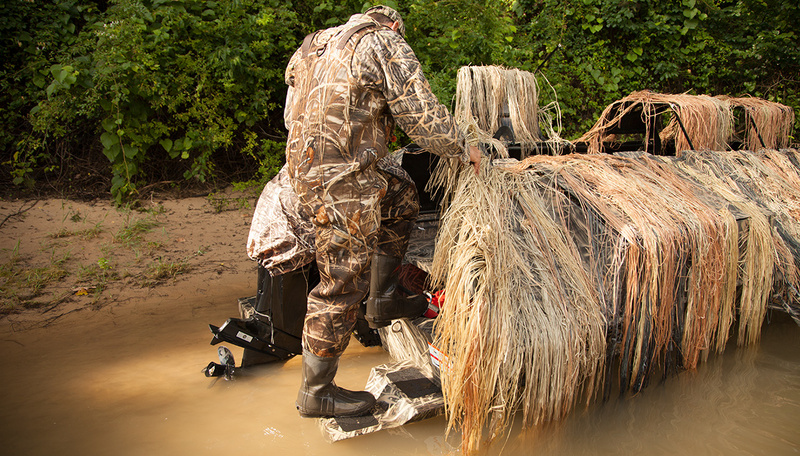 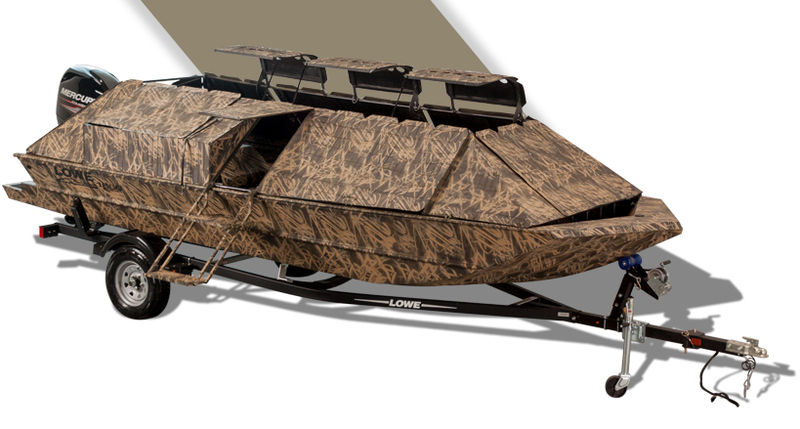 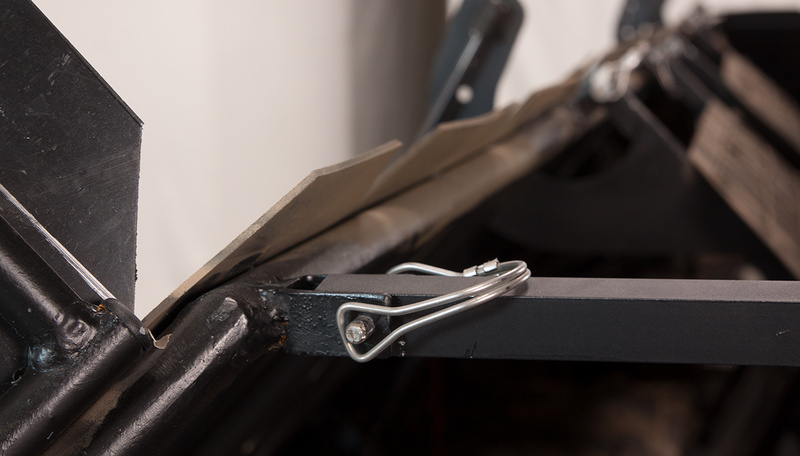 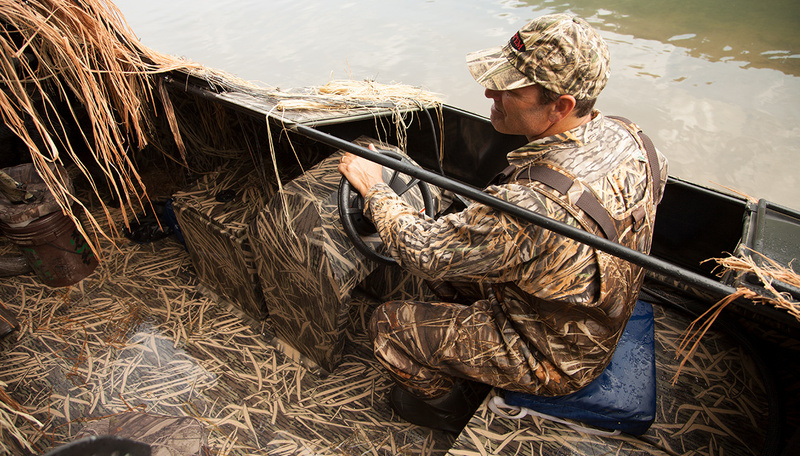 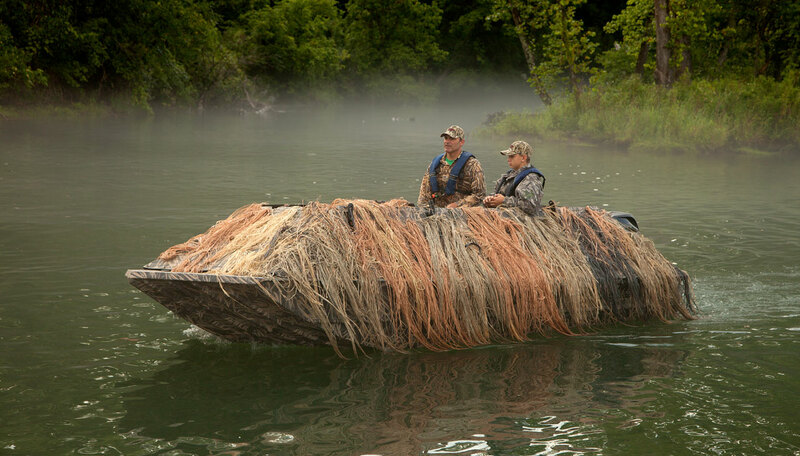 Count on seamless integration of blind and boat for superior camouflage, and count on impeccable, all-aluminum Lowe construction for year after year of lasting durability. 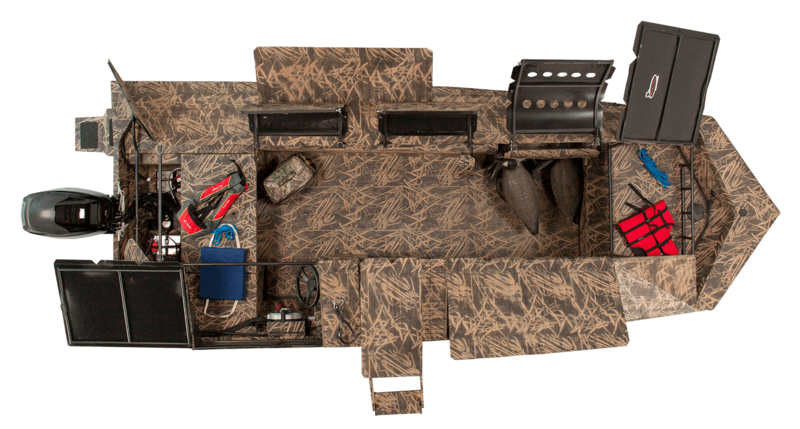 An intuitive side console helm makes for easy operation, while a mighty 60-horsepower capacity allows you to choose the Mercury FourStroke engine that best suits your needs. 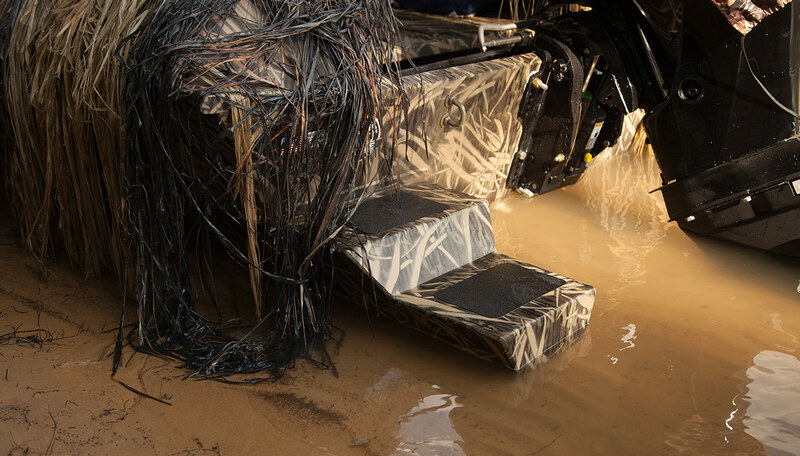 And for your faithful canine companion, the 1860 Waterfowl features an integrated dog ladder for easy re-boarding following duck retrieval. 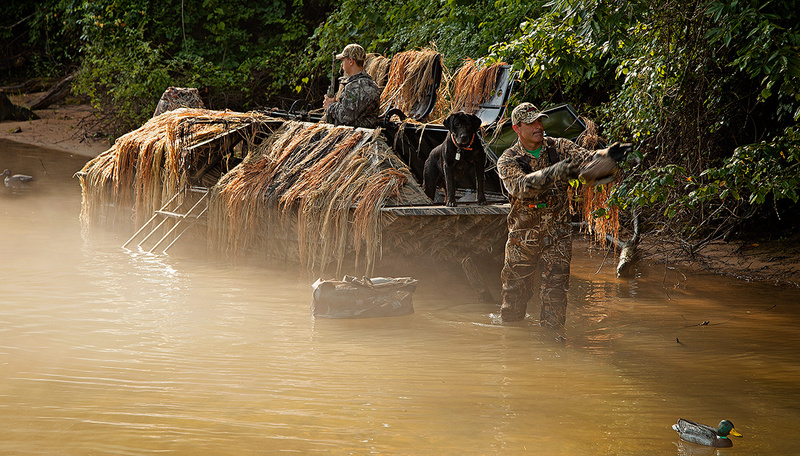 The ducks in your sights don’t stand a chance!